Ready to get your kid on? Head to Marbles Children’s Museum this Friday for this adult-friendly evening of throwbacks games, creative activities, and grown up drinks! 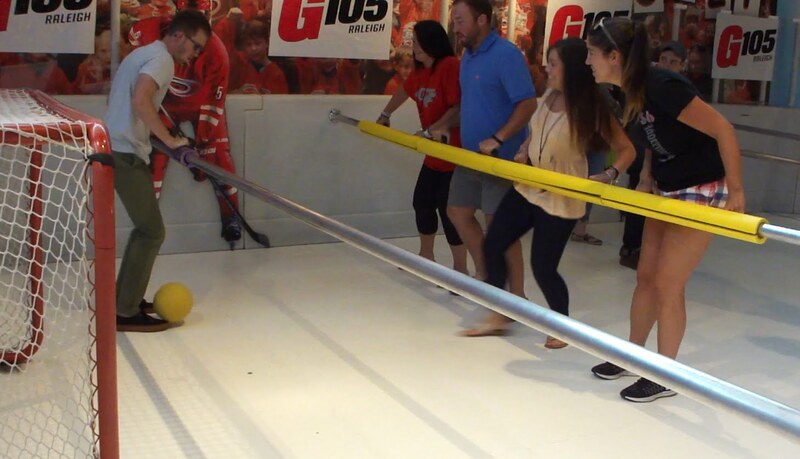 Come spend your Friday evening playing like a child… choose from human foosball, bike jousting, and so much more! Buy your tickets here. 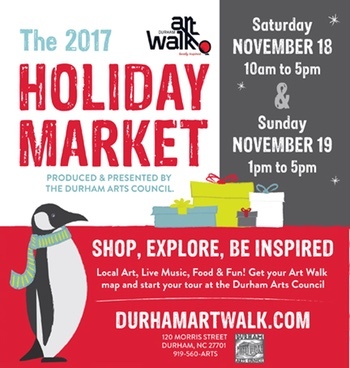 Come kick off the holiday season with the Durham Art Walk Holiday Market! Filled with local artists, live music, and great shopping to celebrate the holiday season… What a great way to spend your Saturday! Free and open to the public, grab your family and head to downtown Durham this weekend to participate in the art walk! Learn more here! 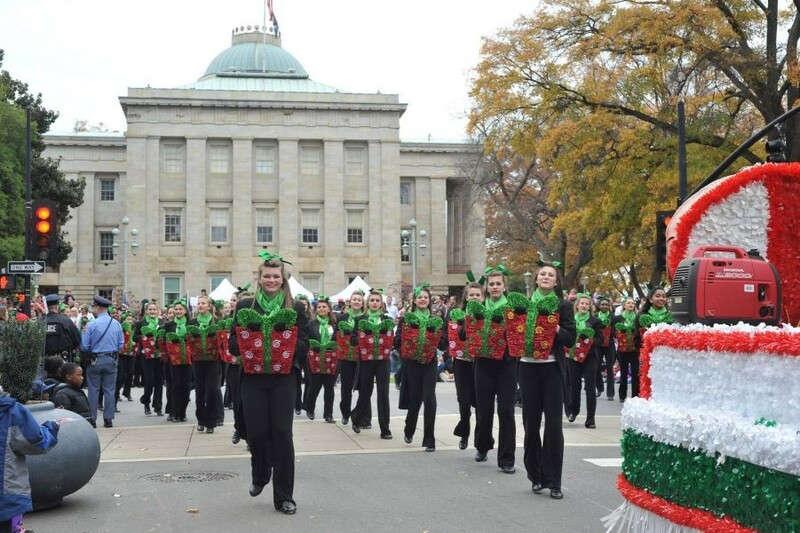 Head to downtown Raleigh this Saturday to experience the largest Christmas Parade between Washington D.C. and Atlanta! Plus, it’s in our own backyard! The parade will last approximately 2.5 hours, and will start on Hillsborough Street and head towards Fayetteville Street. What better way to get in the Christmas spirit than with a giant Christmas Parade! 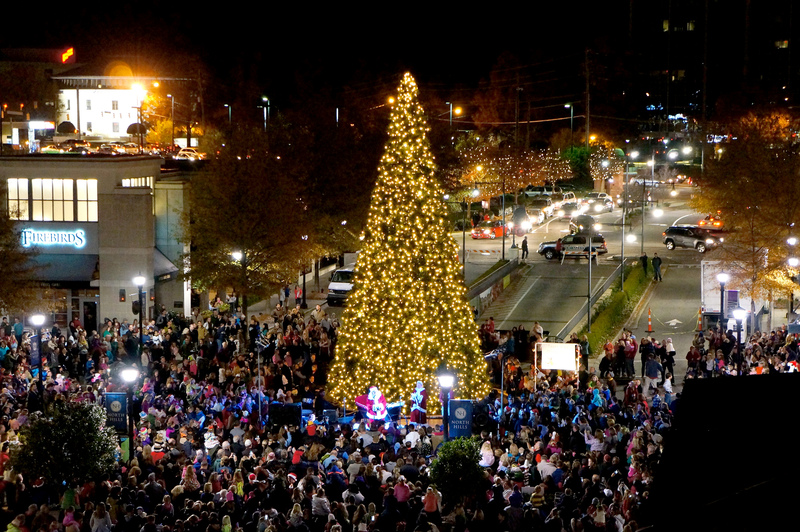 The Annual North Hills Tree Lighting Ceremony is taking place this Saturday, and is a sign that the holidays are finally here! This year’s event will include snow slopes, train rides, kids crafts and activities, a bounce house, and a vendor village! Be sure you’re around at 6pm when Santa shows up and the 41 foot Christmas Tree is lit! See all event details here!